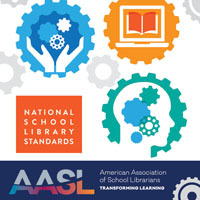 Two months into getting my own school’s Learning Commons off the ground, I am finding it very inspiring to talk to librarians around the country about what they are doing in theirs. 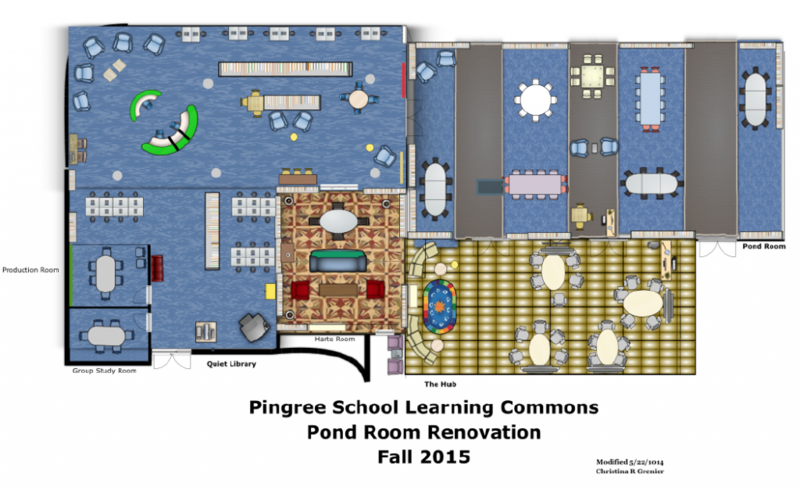 This month I am featuring the Pingree School Learning Commons in South Hamilton, Massachusetts. 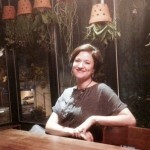 Director Meghan O’Neill has been gracious enough to answer my questions. Read on to see how she and her Learning Commons team have truly made their space the student-centered hub of the school. While we may not all be blessed with the space and resources her school has, she has shared some great words of wisdom and inspiring ideas we can all adapt to our own learning spaces. Pingree School is an independent co-educational day school for grades 9-12 with an enrollment of 347 students. Our Learning Commons has come to be thanks in large part to the support of Tim Johnson, our forward-thinking Head of School, and Kristin Brown, our Assistant Head of School for Academic Affairs, who have encouraged us to “think big” as members of our Library, Technology Department, Writing Center, and Educational Resource Center came together to support dynamic learning experiences in a physical space that provides leading technologies, information literacy, and student support partnerships. 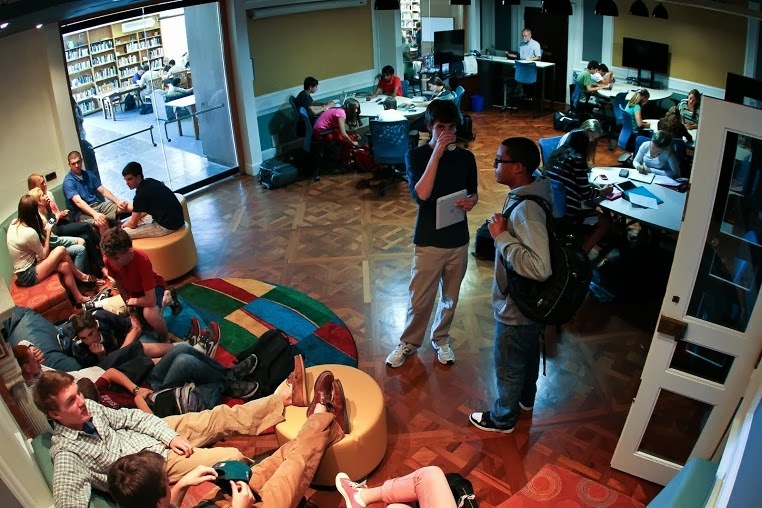 How has a transition to a learning commons changed teaching and learning in your school? For us, the change in terminology from Library to Learning Commons was important as we needed to reflect the personnel, facility, programmatic, and curricular changes that were all happening. Students told us that they wanted “one-stop shopping” when it came to the research process, and that holistic approach to information services resonated with us. They didn’t want to have to go to one adult for research help, another for citation assistance, and yet another for formatting or technical issues. 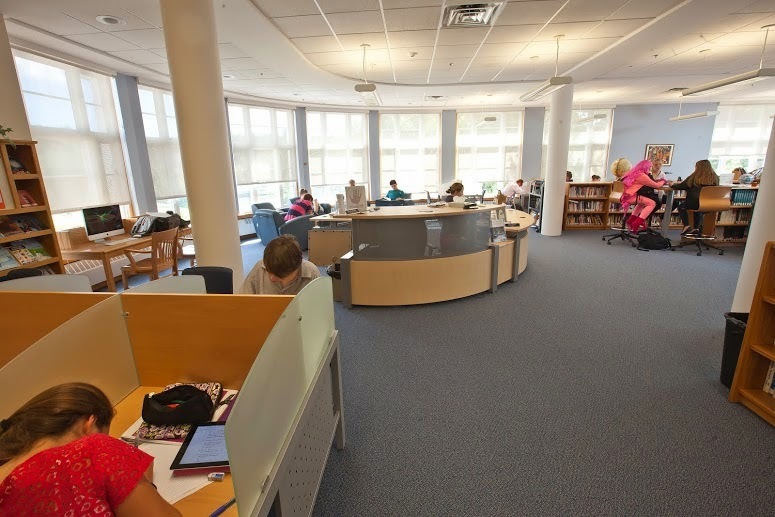 Our Learning Commons allows for the partnership of departments (Library, Technology, Writing Center, Educational Resource Center) to come together to mentor navigating research, media/technology, writing, and study skills. Each of our spaces is designed to meet the multiple learning styles of our diverse student body. For example, a small group could be using the green screen in our Production Room to create a video project, while a History class could be in the Hub using the TV monitors to do photo analysis, and at the same time a student could be sitting independently at one of our new study carrels in the Quiet Library. Are you included at the curriculum mapping table at your school? How have you integrated library and information literacy skills into the curriculum? Absolutely! I’m a member of several committees and teams on campus including the Curriculum Committee, Senior Project Committee, Junior Class Grade Team, Trimester Task Force, and I’m also the Learning Commons Team Director. Along with our Technology Educator and Writing Center Director, I co-teach an 8-week Media Literacy course to all 9th grade students. We focus on digital citizenship, evaluating resources, modes of communication, and research tools. I also collaborate with teachers on an Advanced Research Methods workshop series for all 11th grade students. What kinds of technology do you have in the space & how is it used? We have implemented an X:1 program at Pingree school. The device type that each of our community members uses can be a personal choice as long as it meets our minimum requirements. Pingree uses cloud applications such as Google Apps which operate on most types of devices. In the Learning Commons, we have two kiosk-style iMacs (meant for quick printing) as well as an additional iMac for projects. There is also a laptop cart with 15 Chromebooks. These can be checked out by students and faculty who have either forgotten their device at home, or for long-term borrowing in the case of damaged machines. At the same time, our Learning Commons team is conscious that while we often focus on ways to be digitally connected, it is important to allow time and space to be unplugged. As such, last year we designated the Harte Room as a place where we actively encourage a device-free experience. The Harte Room is the original reading room at Pingree and houses our special collections, and it made sense to us to be mindful and intentional about instituting a technology-free zone. Do you have a Virtual Learning Commons? How is this different than your old library website? More participatory? Are teachers and students using it? How do you promote it? When I began in 2010, the website lived on the school’s Finalsite platform. It was difficult to navigate and hard to find, so when Pingree started moving toward Google Apps in 2011, I created a Google Site with a custom URL: http://library.pingree.org The upgrade to this site allowed students and faculty to a much more streamlined research process, and I promoted it extensively in just about every forum imaginable: faculty meetings, all-school meetings, posters, screensavers, classroom workshops, student orientations, parent newsletters, and even added a dedicated “Learning Commons” slide with our website to an ongoing slideshow that is displayed on TV monitors around campus. Now that students and faculty are using the site, we’ll be moving to LibGuides as a way to make the user experience more participatory and to customize and curate for specific classes. 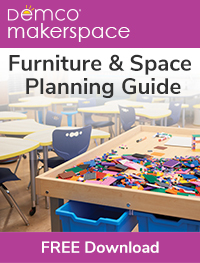 Do you have a makerspace? Does this fall under your responsibility or an additional staff member? We do have a makerspace! It is led by Dave Medvitz, our Technology Educator, who is also a member of the Learning Commons team. How much of your collection is digital vs. print? How do you drive students toward digital? We have solid digital and print collections at Pingree. 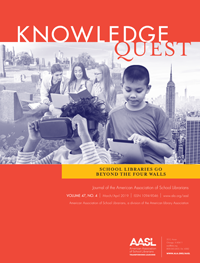 Many students almost naturally gravitate toward digital for research purposes, while we have voracious readers who will choose a hard copy over an electronic screen every time. Our displays highlight all of the many resources and services we have available in the Learning Commons, from signs promoting in-person Tech Tutor availability, to an interactive touchscreen with links to apps and the library catalog, to targeted collections of print books for an AP Biology class. Can you give some examples of successful reading initiatives, makerspace activities, collaborative project-based learning, marketing campaigns, etc that you feel highlight the LC’s impact on student achievement/learning? Our Learning Commons team is quite proud that we organized and hosted the first Learning in Commons Conference at Pingree School in February 2014. Over 175 attendees from all across the United States participated in this one-day conference, and we were thrilled to be able to bring together educators interested in transforming traditional libraries into technologically sophisticated, collaborative learning spaces. Our keynote speaker was David Weinberger, co-director of the Harvard Library Innovation Lab, senior researcher at the Harvard Berkman Center for Internet & Society, and author of several books including Too Big to Know: Rethinking Knowledge Now That the Facts Aren’t the Facts, Experts Are Everywhere, and the Smartest Person in the Room is the Room. Presenters also included David Loertscher, Valerie Diggs, and Brian Cusack from Google Boston. What worked well in planning the space? What would you have done differently? The best thing we did was to roll out the Learning Commons in phases. This gave us time to visit other spaces, research innovative practices, write grants for funding to expand upon our initial vision, and to be thoughtful about each aspect of the design process. Additionally, our Learning Commons continues to be a work in progress. With each new incoming class of students, and with emerging technologies, our commitment to student-centered learning is supported by our flexible spaces and philosophy. What’s your best advice for getting teachers on board with using the LC’s resources? Be flexible, be available, be transparent, and try to see the LC from their perspective while working hard to help teachers see your vision too. It can be quite the cultural shift moving from the traditional silent library to a dynamic, collaborative learning commons. Sometimes I’ll leave the Learning Commons, close my eyes, and then re-enter with a fresh mindset. What do I notice first when I come into one of our spaces? Who is available to ask for help? Is it welcoming and engaging? Conversations at lunch are also key as well in building relationships! There are a seemingly infinite amount of exciting possibilities to enhance teaching and learning in a school environment! My challenge is to be strategic and thoughtful about new initiatives and facility enhancements for the Learning Commons, and to be certain that I have done my due diligence (needs assessments with students and faculty, ongoing observations of resources, discussions with administration) to ensure that programs and services align with our educational philosophy and goals.